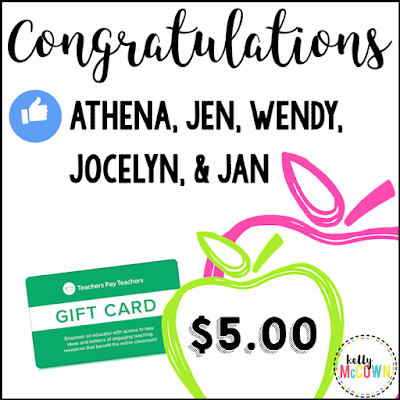 Congratulations to Athena, Jen, Wendy, Jocelyn, & Jan! 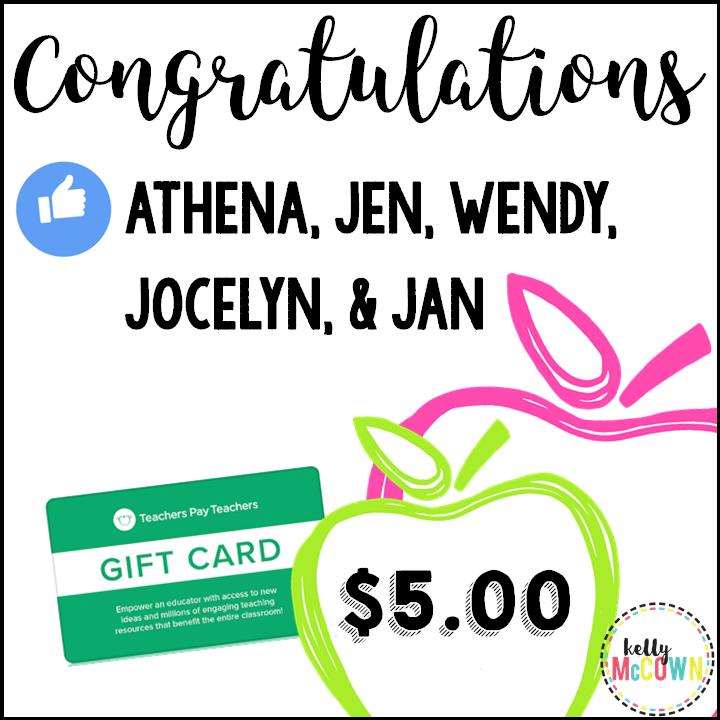 They each won a $5.00 TpT Gift Card for being Monthly Math Freebie Followers. Want to receive the monthly math freebies?